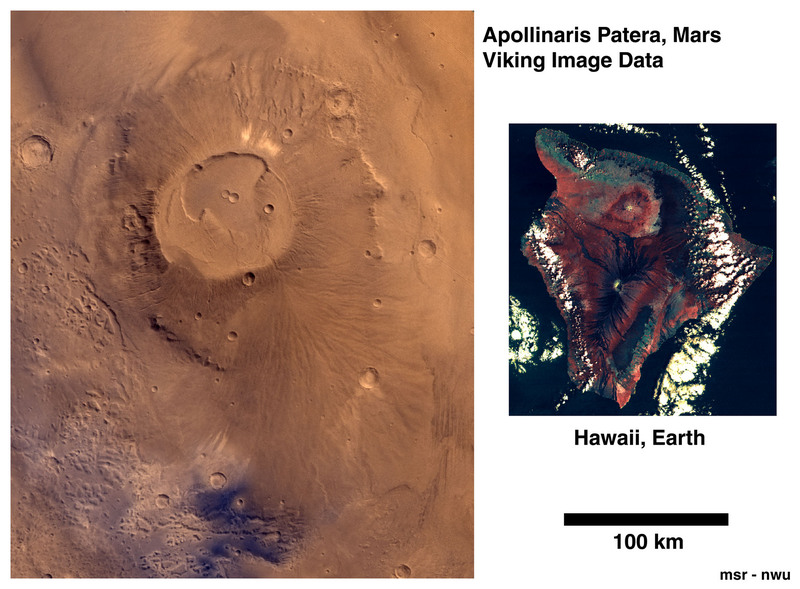 Robinson et al., Chronology, Eruption Duration, and Atmospheric Contribution of the Martian Volcano Apollinaris Patera, Icarus, 104, pp. 301-323, 1993. 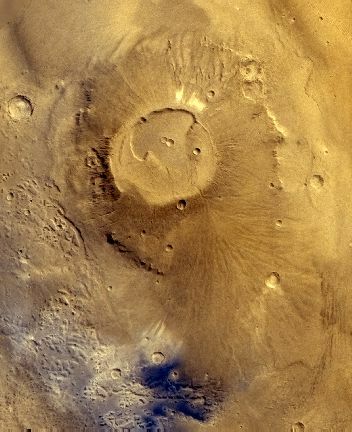 (Special MTM-10186 Quadrangle), USGS Misc. Investigations Series, MAP-I-2351, 1993. Full Resolution TIFF Version of this image (5.5 Mbytes). Compared with Hawaii JPEG Version of this image (0.5 Mbytes). Compared with Hawaii TIFF Version of this image (10.4 Mbytes). 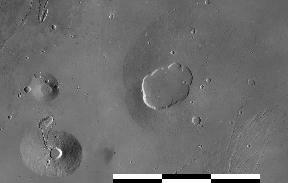 Ceraunius Tholus, Uranius Tholus, and Uranius Patera. 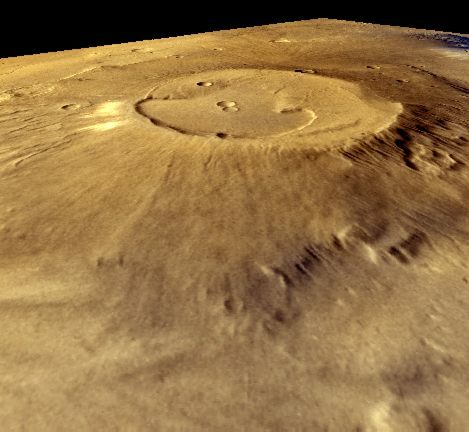 These relatively old volcanoes are found NE of the giant martian Tharsis Montes (25 North Latitude, 95 W longitude). Lighting direction is from the west for images from orbit 516A (left part of mosaic) and from the east for the images from 857A (right side of mosaic). Each segment of scale bar is 100 km, north is to the top. (PICNOS 516A21-24, 857A43-46; 200 and 250 m/pixel respectively). Full Resolution TIFF Version of this image (2.3 Mbytes).